You can't rely on gut alone. The way customers now search, shop, and interact with brands has changed. Customers demand transparency, customization and always-on service. Going with your gut worked when everyone worked at the same pace. Now, pure digital players armed with new ways of working and real-time analytic insights can find a niche, scale, and disrupt the model of legacy companies that aren't nimble enough to anticipate their customers' needs. Even successful businesses need to change, if they want to stay successful. If your gut is telling you that change might be needed, the time to act is now. Disruption By Design is more than a thought exercise—it's a practical activity comprised of innovative design thinking, analytics & insight, and digital iteration. The result is a thorough and ongoing understanding of customer needs, and the means to adapt at a speed that leaves little opportunity for competitors to drive a wedge between you and your customers. Isn't thought leadership when I come up with an idea first? Innovation isn't just about technology. Our goal is to understand the user's needs through ethnographic research, social science, and design thinking. It is a discipline first, and craft second that is informed by proprietary tools, and getting out of the office to find insight where your customers live, work and shop. We question everything to generate a tailored set of enhanced capabilities that produce breakthroughs and increase effectiveness throughout your organization. of organizations are not structured to operate digitally. Your data is your only competitive advantage, and a strategic asset. Deloitte's analytics team transforms data into actionable insights. The ability to make market-dominating decisions hinges on how well you know your audience, and yourself. It starts with defining your data ecosystem and prioritizing your use-cases to enable your organization to accelerate and scale bold bets in analytics and AI exponentially. Actually, we can go fast together. What makes a company competitive? It's in their DNA. To truly disrupt markets, engage customers and inspire employees, you must nurture a digital culture. We've identified 23 digital traits shared with the world's most innovative, digital organizations. These align to flat, fluid hierarchies where customer experience, creative collaboration and agility yield differentiated products and services. Adopting these new capabilities will challenge orthodoxies and encourage a start-up culture. As a service, Deloitte can augment your teams, help raise the digital IQ across your organization, and scale your ability to meet the needs of your customers. We believe that every aspect of a brand experience should be designed. We work with courageous, forward-looking clients to break the artificial divisions between business strategy, innovation, technology, analytics and creative marketing to predict how you can delight customers in every aspect of your brand experience. We've disrupted ourselves to invest in building our creative and innovative capabilities on top of our deep global industry experience. What hasn't changed is our dedication to building trust and confidence between your people and our people. launch disruptive companies across Canada. RESULTS: Deloitte Digital provided market analyses insights, and audience personas based on ethnographic research to inform the user experience design and integration services for EQ Bank’s completely digital baking solution, across all devices. 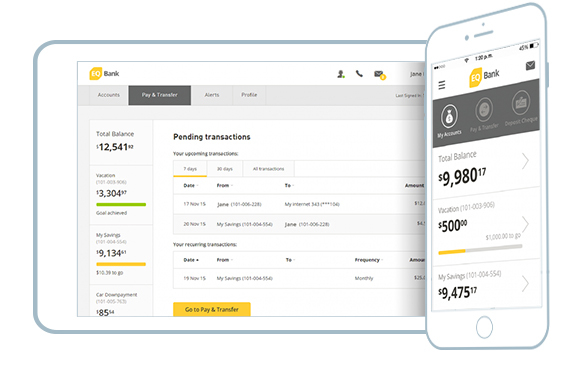 EQ Bank was launched in just 18 months, and far exceeded its business goals. ASK: Overhaul Vesey's paid media campaigns, with a better way to track performance metrics. RESULTS: Optimizing social media & SEO strategies delivered a significant increase in relevant website users. So far, transaction revenue is up 13% and return on ad spends (ROAS) is up 64%. ASK: Make giving easier, educational and inspiring. 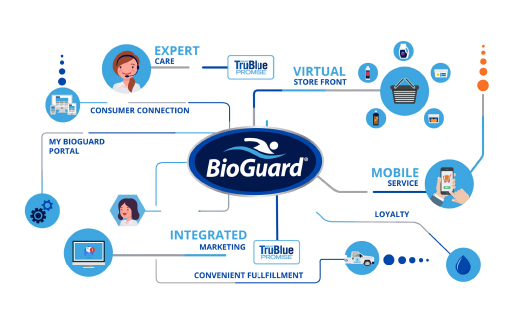 RESULTS: Since 2016, we’ve partnered with BioLab to create their digital strategy, loyalty strategy, and developed a next generation cloud-based customer management and water testing portal, plus modernized their user experience & POS system integration which streamlined their customer experience.